From the Selangor Times 20 January 2012. Ask Lord Bobo is a weekly column by LoyarBurok where all your profound, abstruse, erudite, hermetic, recondite, sagacious, and other thesaurus-described queries are answered! No, absolutely not. Do you think that superior court judges have ever interfered with the decisions of lower court judges? We think the newly-minted Chief Justice would not be foolish enough to publicly acknowledge that there have been attempts to interfere with court judgments. No, absolutely not. In law, an accused who either remains silent or gives evidence from the dock basically has not given substantive primary evidence in defence of the charge against him. The courts have previously held that when an accused remains silent or gives evidence from the dock – which is equivalent to remaining silent – the court must in all likelihood convict him of the charge. Only when the accused puts into play evidence on oath, which can be cross examined for its truth or falsity will there be substantive evidence for the court to evaluate whether or not he is guilty or innocent. No, absolutely not. The prosecution presented evidence of a sexual act. The judge at the close of the prosecution case found that the complainant was a truthful and credible witness. In case law, the judge then has to ask himself whether the evidence is sufficient. If the answer is yes, the defence of the accused must be called. If the answer is no, the accused must be acquitted. In this case, we presume that the judge gave careful thought to whether or not to call for the defence. We have no reason to believe that the judge decided to call the defence without thinking. Based on what we wrote above, the judge obviously found in the former, meaning that the judge decided that based on the evidence put forward by the prosecution the defence must be called. Anwar thereafter gave evidence from the dock, which essentially was a speech, and is as good as remaining silent, because his evidence was not available for testing under cross examination. 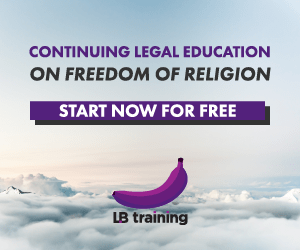 Following case precedent and in a non-extraordinary mundane criminal proceeding, the court would – and should – have had no choice but to convict. It is strange that the judge found at the end of the defence case, despite the complainant being held as truthful and credible, and despite the accused not giving substantive evidence in defence, that nevertheless the chain of evidence was broken. Applying logic and proper legal and court procedure, Anwar should have been acquitted at the end of the prosecution case. This is so because the chain of evidence must be shown to have been complete by the end of the prosecution case, and no other evidence proferred by the defence will be necessary to shake it. In other words, if the only reason for acquitting was that there was a break in the chain of evidence, then the judge could have concluded that there was a break at the end of the prosecution case. The burden is on the prosecution to complete the chain of evidence. His Supreme Eminenceness knows the non-legally trained reader would be confused by now. Let’s simplify this into one paragraph. The prosecution presented its case. The judge then had to decide whether the prosecution case was strong enough to call for the defense to answer the charge. The judge decided that this was the case, and called for the defence. Anwar remained silent. The judge then decided to acquit him. This flies in the face of all logic and legal procedure. Having gone so far, there seems no reason why Anwar was not convicted. Perhaps the judge changed his mind. Perhaps he was swayed by Anwar’s speech. Perhaps he was influenced by the support for Anwar. Perhaps he heard the cheers of the crowd outside the court. Perhaps he re-examined the defence evidence and found it wanting. Or, a special phone call to the judge? Stranger things have happened. 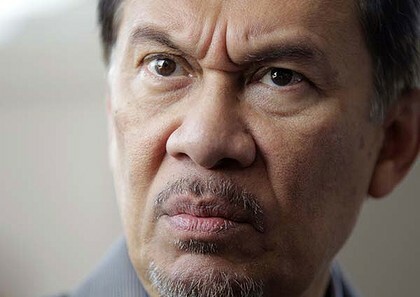 Did the judge acquit Anwar because he was looking at him with this expression? Judges all over the world usually come from a high-income background and make up the elite 10% of society. They are usually already rich or at least upper middle class. They are not meant to accumulate more wealth in a position of power. They are supposed to step into the shoes of the poorest litigant to dispense justice without fear or favour. They are called to defend the constitution from the oppression of the powerful in defence of the liberties of the meek. They are called to be the bastions of fairness. Lord Bobo believes that the assets of judges should go to charity. We applaud the move to have them declare their assets in order that the public may assess and advise judges how much and to which charities to give their money to. Judges should empty themselves of material gains and pursuits so that their bodies and lives become mere vessels for the dispensation of justice. Just as His Supreme Eminenceness has given away all his material possessions towards a lifestyle of mainstreaming human rights via the most awesome blawg in the universe, so should these judges. Lord Bobo survives, and thrives, with just the fur on his body and a white wig. So too judges should survive just with their noble wigs and modestly-tailored robes covering their hairy-chested torsos. But enough about the female judges, this applies to the men too. Posted on 20 January 2012. You can follow any responses to this entry through the RSS 2.0.